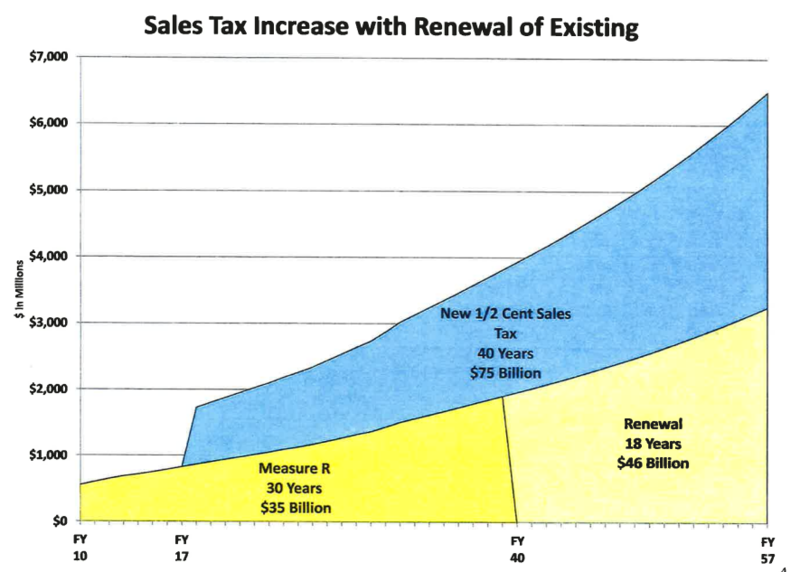 There is a new chart out that shows some of what a possible new Metro sales tax, “Measure R2″ might look like. As outlined in this earlier article, the sales tax would be put to the voters in the presidential election in late 2016, but the political process shaping the proposal is happening right now. If all goes according to schedule, the Metro Board will finalize an expenditure plan in July 2015.